Yes, I have been buying these calendars for over 30 years. This is beautiful n full year calender for 2018.n its personalised for my family.. The product was acceptable but the service was not. Will never do business with Mile Kimball again. I've purchased this calendar every year for many years. They used to be the whole calendar. Second year in a row the picture was imprinted very crooked. Last year I complained and after verifying w pictures got a new one which wasn't perfect but acceptable. This year I decided I'll have to find a new calendar for that spot. Because of the beautiful picture and I like all of the months at the bottom of the Calendar. I have been buying my best friend calendar towels for years! She loves them! Miles Kimball's has the best selection and price plus you can get it personalized! I have had one of these type calendars for the past several years and I like them, depending on the pictures that they show. They are a Christmas tradition!!!! 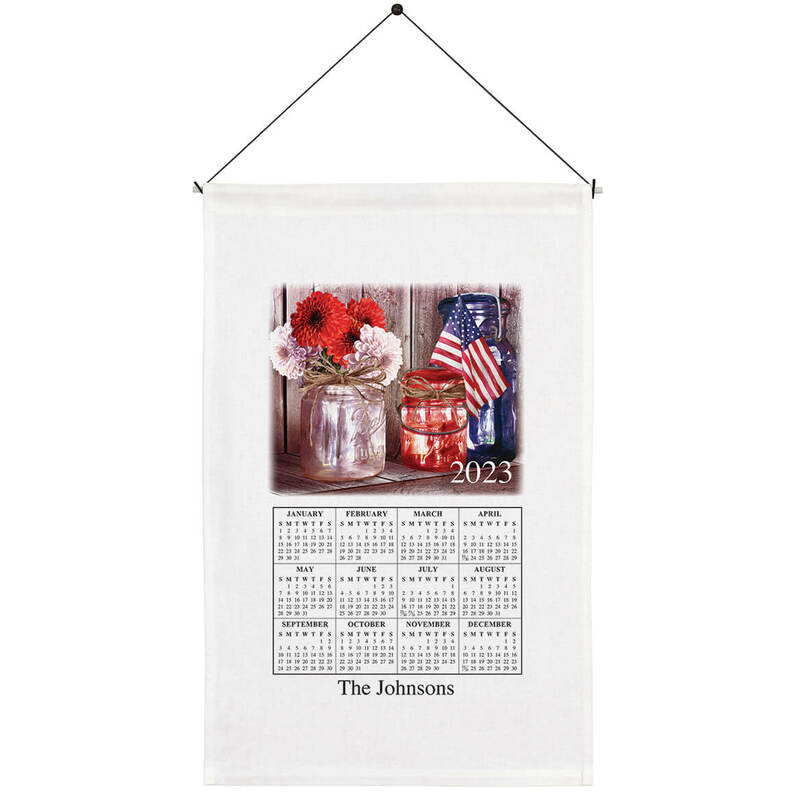 Since 1972 I have been collecting linen calendar towels and I haven't missed a year in all that time. Amazingly, no two are alike. I can count on Miles Kimball to show new designs every year and I'm always anxious to see what their new catalogs will be offering. After purchasing the towels from other suppliers I find the prices and quality are best from Miles Kimball. My kids grew up with the calendars and now want them for their homes, too. I have a collection of calendar towels going back to the mid 60s. Love the patrotism of this one. These already make great keepsakes, this one even more so with the remembrance of how America got it's freedom. I get one every year. Some dating back to 1982. Like the personalized touch. It will look good in whatever room I choose. Nice print. I get personalized calendar towels every year for the family. 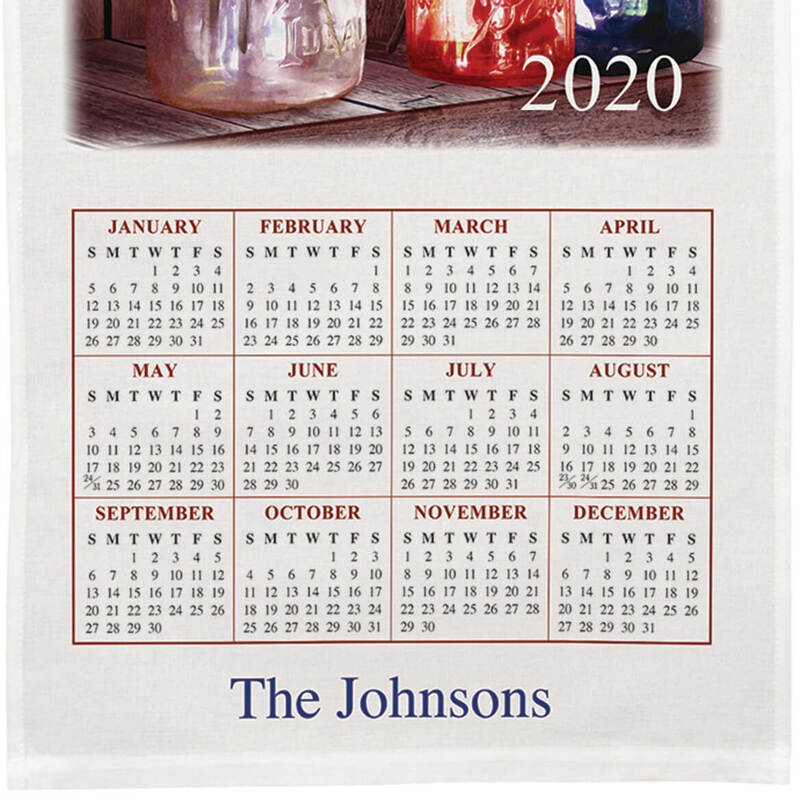 We like towel calendars and order one every year. Since this past year has been so dramatic and tragic the patriotic theme was deemed apropos. We ALL need to be proud of and support our terrific Country and stand to honor our US Flag. People died for our Nation and our US Flag. That applies to all that reside in this Great Nation under God! Family tradition for over 65 years.